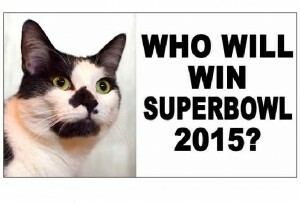 Fortune Kitty Predicts Super Bowl Win! Kodi predicts the winner of Super Bowl 2015. 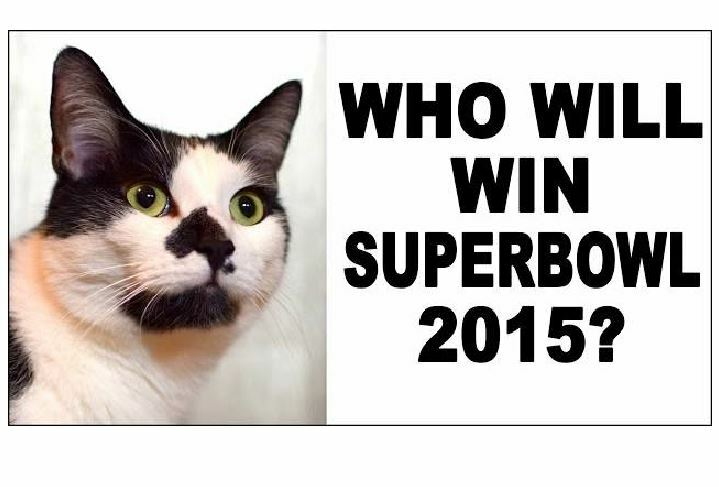 Kodi predicts the winner of Super Bowl XLIX 2015. Note: Kodi’s petdad says he is not responsible if you place your bet based on Kodi’s pick and the other team wins. .You can find Shorty and Kodi “The Shoko Show” at Facebook.